After receiving so much fire from Russian ad buys in 2017, Zuckerberg stated that they have “a responsibility to make sure our services aren’t just fun to use, but also good for people’s well-being”. So, what does this really mean for marketers? Should you take your eggs out of the Facebook basket? Well…as Zuckerberg mentioned “You’ll see less public content like posts from businesses, brands, and media. And the public content you see more will be held to the same standard – it should encourage meaningful interactions between people” meaning that public content (aka post from your brand) that goes out will need to have strong engagement signals to get that reach you’re used to. How can you continue to reach users? As I mentioned a couple months ago, it’s time to Refocus your Facebook Strategy. This new change will affect brands that used the channel more as an amplification tool rather than as an engagement tool. As the new algorithm change brings a big focus on “meaningful interactions”, brands will want to focus their post on driving conversations, by prompting conversations through questions, relevant topics, and shareable content. While Facebook wants you to drive engagement on your post, they want you to do it in a non-spammy way. 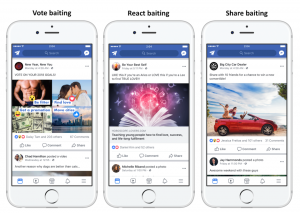 What I mean by that, is that along with the new algorithm change, Facebook is looking to penalize pages that utilize ‘engagement bait’. You know that post that prompts you to like for one thing, use the love reaction for a different vote and so forth. Facebook doesn’t count this as a ‘meaningful interaction’ so steer clear! Do you remember Facebook Live? 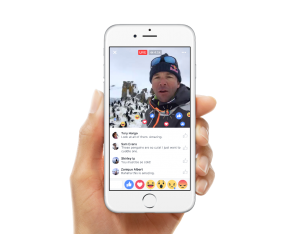 The new algorithm will still favor video content, but as Zuckerberg alludes to in his statement “live video often leads to discussion among viewers on Facebook – live video on average gets six times as many interactions as regular videos.” So while you were already looking to ramp up your video content in 2018, it’s time to put a little more focus on live videos and offering users that “raw” content. 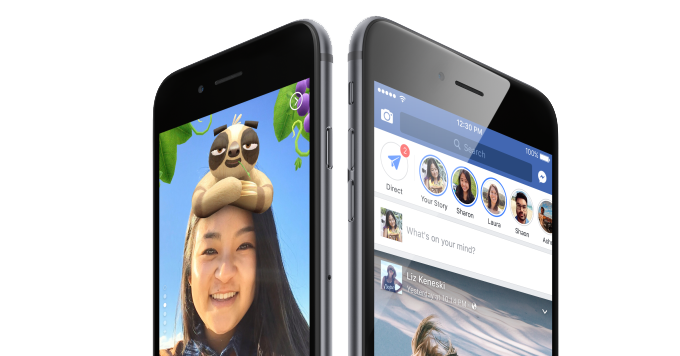 Don’t forget about Facebook stories! Facebook rolled out the feature to pages in October of last year. Being that the feature is still new and currently has a low adoption rate by businesses, it offers a fantastic opportunity to get in front of users as this content lives at the top of the news feed. Will you take advantage of it? 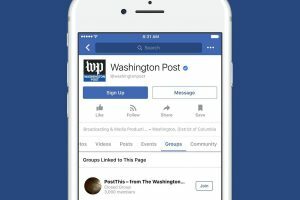 Last Summer the social network opened up Facebook Groups for Pages, which in turn lets businesses harness the power of community building and sharing content with a targeted audience that want to see your content. Use this opportunity to build your fan club! 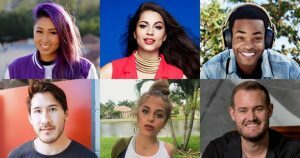 Throughout 2017 and leading into 2018, we started to see the rise of influencers and what they had to offer to the marketing world. While, public content will see a decrease in eyeballs, you can expect to see more “branded” content coming from micro- to mega-influencers if they are using a personal account. With the decline of organic reach happening over the past couple of years, Facebook Ads will need to become a strong part of any marketing mix. Utilize Facebook Ads to focus your targeting on the right audience and help get your message across. As mentioned, businesses that have been using Facebook as an engagement channel shouldn’t expect to see a big change in traffic but for other businesses now is the time to lose the “amplification” mindset and focus on the community building aspect. Let us know how your brand is dealing with the changes. If you need help planning a strategy to combat the recent changes seen by Facebook, contact us today! Chatbots: What Are They and How Can You Use Them?